The Maratha community in Maharashtra will now get 16 per cent reservation in jobs and education in the state. A bill to this effect was passed unanimously on November 29 by the state assembly. This 16 per cent reservation is over and above the 50 per cent reservation allowed by the Supreme Court. Currently, 52 per cent seats in Maharashtra are reserved and the Maratha quota will take it to 68 per cent. The Jats are a formidable community in Haryana. The expanse of their green crops extending as far as the eye can see reinforces their formidability and prosperity. It seems to be a comfortable life for the dominant caste of Haryana that steered the country’s Green Revolution. The reality, however, is different and not too difficult to figure out. A normal conversation with any member of the Jat community in the state is sufficient to highlight how the once prosperous landed community is today struggling to keep afloat. Jat farmer Manoj Dabbas, a resident of Haryana’s M P Majra village, shows a fresh bullet wound on his waist and says, “The police can kill us if they want to, but we will not stop protesting till the time we get reservation in government jobs.” Dabbas claims he got the bullet wound on February 21, when his community was protesting for reservation. 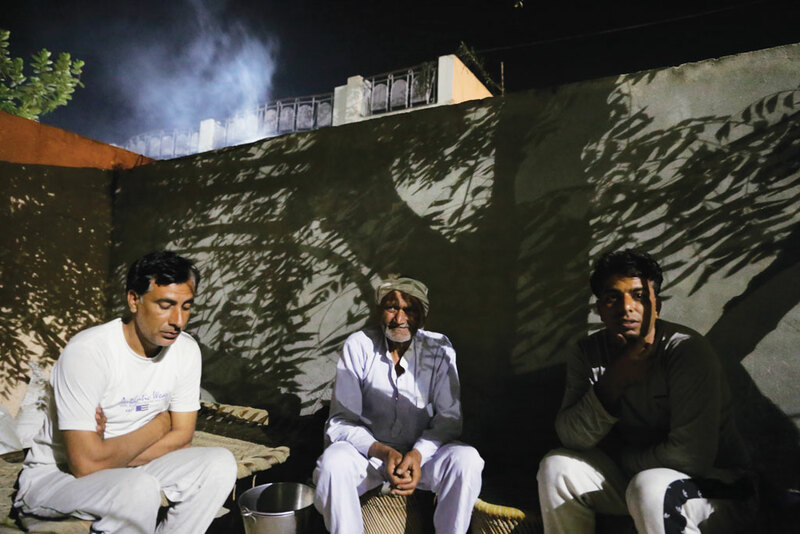 The Jat community in the village, which was the epicentre of the February protests, says that while Dabbas was lucky to be alive, another resident, Krishna Singh, was killed by a bullet allegedly fired by the police that pierced through his temple. In fact, the village in Jhajjar district, where over 70 per cent population is Jat, is still guarded by the paramilitary forces that were rushed to the state after the protests broke out in February. During the state-wide protests, the community blocked the national highways, destroyed public property and even disrupted the water canal that feeds Delhi, precipitating a political crisis for the Bharatiya Janta Party (BJP) government in Haryana and the BJP-led National Democratic Alliance (NDA) at the Centre. The protests that claimed more than 30 lives emanated from a long-standing demand of Jats to get a backward class status. The demand was first floated in 2009 by Adarsh Jat Mahasabha, a social organisation, and there have been regular demands for the Jat reservation in government jobs ever since. In 2013, a year before the national elections, the United Progressive Alliance government approved the inclusion of Jats in the Central Other Backward Classes (OBC) list for nine states in north India, despite the National Commission for Backward Classes recommending against it. A year later, in March 2014, the Supreme Court struck down the decision, stating that the commission’s advice was binding and the government had no valid reason to go against it. Residents of M P Majra village are still mourning the death of Krishna Singh. They are also hopeful that the February protests will be enough to pursuade the state government to include them in the OBC category. The conversations also highlight their belief that only reservations in government jobs can save them. Twenty-five-year-old Majra resident Vinay Singh explains the reason for his frustration. He says despite having a Masters degree in computer application, he is unable to find a job. “I have spent a considerable time in Gurgaon hunting for jobs. In the end, I realised that even though I am qualified, private companies will not hire me because of their biases against people from rural areas. This is the reason we are demanding reservation in government jobs,” says he. So what made this prosperous agrarian community so desperate for jobs? “It is because we have very little land left today,” says Vinay. He explains that most people in the district sold their farmland to industries who promised jobs to the people in return—a promise that was never fulfilled. “In 2005, more than 10,100 hectares (ha) of farmland was acquired under Reliance special economic zone (SEZ) with the promise of jobs to every family of the region. The project reduced our landholdings considerably, and not a single company has started work in the SEZ till now,” says Rajneesh, a software engineer and younger brother of Krishna Singh. The SEZ paid Rs 22 lakh per acre (0.4ha) to the farmers but the project never came up. Recently, the company returned the land it took from the government, but reportedly made a fortune by leasing out the land they directly bought from the village farmers to another company. Residents say that on the one hand, private companies are making money on land acquired from the community, and on the other hand their youths are not getting jobs. Yogveer Singh, a 65-year-old farmer, says his son, like Vinay, is looking for a job after acquiring an engineering degree. The farmer has already sold a substantial part of his land to a private company to fund his son’s education. “My two sons were employed as watchmen in a company that closed down because of non-compliance with pollution control norms. Since then they have been looking for jobs. They are okay with both farming and working in the city. But farming is no more viable because we have little land left and the input cost has shot up substantially. Nobody is willing to employ them,” says Yogveer. He adds that even for getting subsidies for fertilisers, they have to stand in the queue for days, while the private companies make profits by leasing out land that was originally theirs. The situation has become so desperate that the region witnessed riots over access to fertilisers last year. Yogveer, as a result, justifies the Jat’s demand for reservation in government jobs. Residents of Baghpur, another Jat-dominated village in Jhajjar district, give one more reason for the demand—eligible bachelors in the village are not getting brides because of their economic condition. 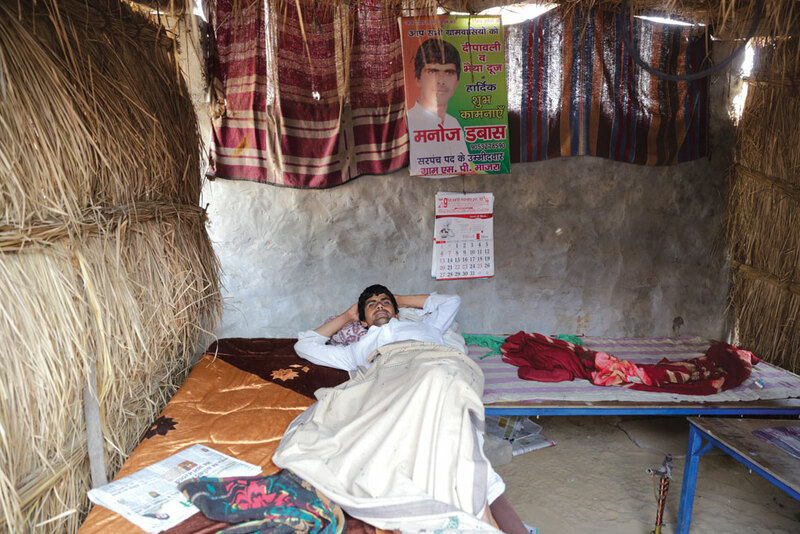 “I want to get married,” says 27-year-old Baghpur resident Ashish Dhatka. “But that will happen only when I have a job to supplement the earnings from our marginal farm.” The village has a long list of such people and all of them are small farmers. “Many of us remained unmarried because there were fewer women due to female foeticide,” says 42-year-old Karamveer Singh. “But the new generation will remain unmarried because we do not have enough farmland or jobs,” he adds. “In the past 10 years, we have lost the capital we had. In fact, most of us have debt that we cannot repay,” says Arun Kadyan, another Jat farmer from Baghpur. According to the National Sample Survey Office (NSSO), Haryana has the country’s lowest spending on productive assets in agricultural households. This is because households earn more from non-farm sources than from farming. People in Baghpur highlight yet another reason for the failure of farming in the region. While the water table in the village has increased substantially in the recent past, it is largely saline water. “Sonipat, Jhajjar, Rohtak and all the other Jat-dominated districts where protests took place have the salinity problem,” says Arun. In such a situation, livestock has provided food security to marginal and small farmers in the region. Each household has more than one cattle. “I had 1.4 ha of land, out of which 0.8 ha cannot be used because of high salinity. This has increased dependency on the two buffaloes I have. I now sell 16 kg of milk to sustain my family,” says 55-year-old Bijendra Singh. Selling milk is normally frowned upon in the region, but the difficult times have forced many to do so. “We believe it is not honourable to milk our cattle for money. But we are desperate,” he says. Rohtak highlights another peculiar problem. After the success of the Green Revolution, most families in the district started educating their children—with the hope of a better life. In Ismaila, declared the state’s model village, Jats have reconciled with the fact that agriculture will not be sufficient to sustain their next generation. But they have an immediate threat: the huge investment made in educating children is not fetching the return. Pradeep Khatri, along with his two brothers, sold 0.4 ha of land in 2010 for Rs 69 lakh to construct a house and fund the education of his children. “We are all trained teachers without a job. We sold the land so that we can invest in the education of our children. We are, however, worried that even they might end up without jobs like us. This is the reason we are demanding reservations,” says Pradeep. “I have been farming since the past 20 years but today I am not able to pay a fee of Rs 2,000 per month for my son’s education,” says Jagbeer Singh, 42, who owns just 0.4 ha of land. His son, Rahul Singh, a 14-year-old boy studying in an English medium school, too believes that reservation will open new avenues for him. “I don’t want to farm. It doesn’t give enough cash to my family. I want to join the Army or a government job, so I need the reservation in government jobs,” says Rahul. Like the Jats in Haryana, farming communities across the country are pinning their hopes on government jobs for a bright future. In fact, the demand is now not restricted to the farming communities. From Rajputs to Brahmins and landlords almost every community is now protesting to be called backward. Just a week before the violence erupted in Haryana, the agrarian Kapu community in Andhra Pradesh protested for their inclusion in the backward class list. In fact, the current Andhra Pradesh Chief Minister, N Chandrababu Naidu, came to power promising the caste reservations. In 2015, the Patels of Gujarat, the home state of Prime Minister Narendra Modi, demanded to be termed backward. In Kerala, the Namboothiris, a priest community, also demanded minority status for reservation in government jobs last year, making them the first Brahmin community in the country to do so. Another upper-caste community that has been demanding reservation is Panchamasali Lingayat from Karnataka. The farming community that is regarded as equal to the Brahmins, constitutes nearly 15 per cent of the state’s population and is politically influential. So far, at least 10 farming castes in 15 states have staged protests to get recognised as backward. “The non-farming season is turning out to be a cause of concern. Increasingly more agrarian communities are using this period to push their political and economic agenda by resorting to violent protests,” says a senior Intelligence Bureau official. 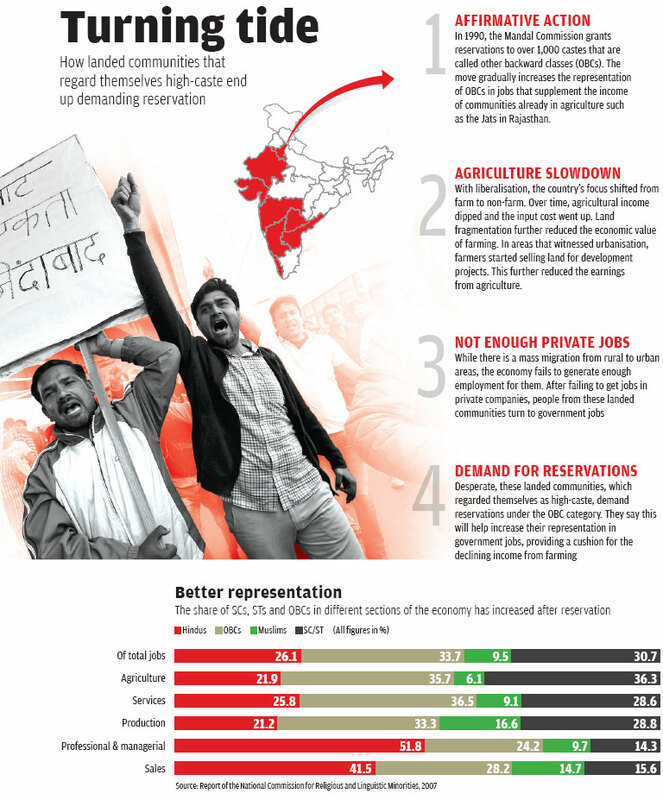 In the past five years, there have been over 600 days of protests by communities who are demanding backward class status, with an estimated property loss of Rs 40,000 crore, suggests an analysis by the CSE-DTE Data Centre. On February 1, 2016, paramilitary forces had to be called in Tuni in Andhra Pradesh’s East Godavari district when the Kapus’ demand for inclusion in backward list turned violent. A worried state government has set up a commission to examine their demand. The chief minister has also promised a state corporation to look after the welfare of Kapus, who are a dominant agrarian community in Andhra Pradesh and Telangana. They account for 26 per cent of Andhra’s population and have been demanding reservation for over a decade. Rajasthan Gujjars are a farming community that has been demanding a bigger share in state government jobs since 2007. In September 2015, the Rajasthan Assembly passed two bills providing reservation in educational institutions and government jobs to economically backward classes and special backward classes, including Gujjars. At present, up to 50 per cent of government jobs in Rajasthan are for the reserved category, which is divided into 21 per cent for OBCs, 16 per cent for the Scheduled Castes and 12 per cent for the Scheduled Tribes, bringing the total to 49 per cent. Now Gujjars want five per cent of the seats within the OBC quota to be exclusively reserved for them. They say their demand is valid because most of the quota is taken up by the Jat community in the state. The biggest surprise, many would say, remains the reservation demand by Gujarat’s Patel community, believed to be one of the richest in the country. The community, which constitutes 15 per cent of Gujarat’s population, belongs to the Kanabi caste, which literally means those earning a livelihood from grain or kan. Over time, they have also become the most influential business community. Their success story started in the 19th century when many started to work as tenants in the fields of the princely states ruled by local Rajputs. Though not an upper caste, the Patel community is extremely enterprising. In fact, they were among the first farmer communities in the country to start growing cash crops in the 20th century. The community received a boost in the 1950s when then chief minister Uchchhangrai Dhebar ushered in land reforms that made Patels the owners of the land they cultivated. They later forayed in other businesses such as textile and diamonds. By the early 1980s, the community started to believe in the idea of doing business over jobs. Their most popular slogan during the period was vypar karo, naukuri chodo (Quit job and do business). Similarly in Karnataka, the Lingayat community has been demanding backward status for quite some time. In 2014, the community organised hunger strikes to pressure the state government. R S Deshpandey, former director, Institute for Social and Economic Change, Bengaluru, says, “The Lingayats are traditionally landed and belong to the business class and are politically strong. They demand their reservation mostly in educational institution.’’ D R Patil, a Lingayat leader, says that the demand is only from a section of the Lingyat community, such as Panchamasali Lingayat, who have suffered because of decline in agriculture. Another community that has also started demanding reservation is the Marathas from Maharashtra. The community accounts for 32 per cent of state’s population and owns close to 75 per cent of the state’s land. It is no secret that most of the state’s sugar factories and educational institutions are controlled by the Marathas. Since the last two-and-half decades, many high-level institutions, including the National Commission for Backward Classes, have rejected their demand. But, the demand seems to be gaining ground now. What is intriguing about the current demands for reservation is that almost all are from castes that have for generations termed themselves as “higher” in the social hierarchy and traditionally stayed away from jobs. Jats, for example, believe that kheti or farming is a high-caste job, whereas naukri or jobs is for the lower castes. Chaudhary Charan Singh, the former prime minister and by far the tallest Jat leader, had rejected the idea of reservations for Jats, saying that the community is prosperous and forward looking. So, what has prompted this change? An analysis of the recent protests suggests that they coincided with landmark events in the agriculture sector. For example, the Kapus campaign for reservation picked up after the number of farmer suicides in the community rose alarmingly. The Marathas cite the long spell of droughts in the Marathwada region and the decline in their income from farming as the main reasons for demanding reservation. Meanwhile, the Patel stir coincided with the slowdown in the global economy that affected their diamond and textile businesses, the two main sectors besides farming that ensured the prosperity of the community. The events that pushed the communities to demand reservations hint towards a bigger problem—India’s agrarian crisis. These communities became prosperous after Independence, thanks to the country’s decision to strengthen its farm sector. The prosperity from agriculture meant that these communities never prepared themselves for formal jobs. But over the years, India’s development resulted in a boom in the non-farm sector. This fundamentally changed the use of land. The people realised that land, which they believed could only be used for farming, could be easily sold as a commodity for money. As a result, most of the communities, including the Jats, started selling their land to private companies for development projects. Farmers say that one of the main reasons they sold their farmland was fragmentation, which makes farming unviable. The country’s per capita landholding has been declining since the first Agriculture Census in 1970-71. It has come down from 2.28 ha in 1970 to 1.15 ha in 2011. This indicates that a farmer, big or small, has less land to till. The situation of the big farmers, who normally come from communities such Jats and Patels, has been particularly bad. The number of large landholders has come down from 2.8 million in 1971 to less than a million in 2011. At the same time, the number of marginal farmers has more than doubled. According to the Agriculture Census of 2011, the total operated area has decreased gradually between 1990-91 and 2005-06. 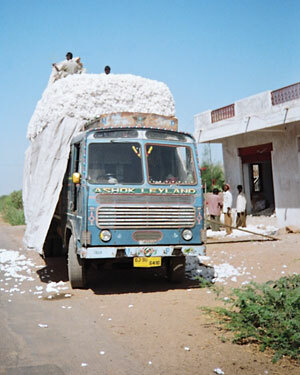 This reduced the employment opportunities in the farm sector, which in turn crumbled the rural economy that resulted in mass exodus to urban centres by the early 2000s. During this period, for the first time since Independence, less than half of the workforce was employed in agriculture. Between 1993–94 and 2004–05, rural non-farm employment grew about four times as fast as farm employment. Over time, even lower-paid non-farm jobs—casual wage employment—started paying considerably more than farm jobs. Non-farm employment also reduced rural poverty indirectly by pushing agricultural wages. Since 2004–05, diversification to the non-farm sector has picked up pace, alongside much more rapid decline in poverty between 2004 and 2012. “In the past 15-20 years, the whole agrarian community suffered because of urban-centric development, which primarily benefitted the urban upper class. 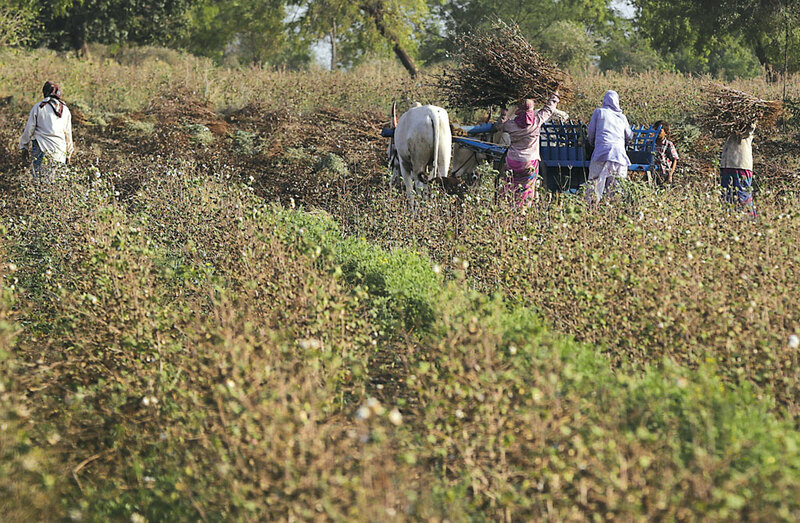 This pushed the young generation of the farming communities to desert farming and migrate to urban centres for jobs,” says Surinder Singh Jodhka, a professor of social sciences in the Jawaharlal Nehru University, Delhi. While urbanisation reduced employment opportunities in the farm sector, it did not translate into an equal increase in the job opportunities in the non-farm sector. NSSO data suggests that the growth in urban jobs was stagnant between 2004–05 and 2011–12. In rural areas, on the other hand, employment in farming shrunk by two per cent every year, resulting in a loss of 33 million jobs over the whole period. Though rural non-farm jobs expanded at nearly twice that pace (3.7 per cent/ year), not enough non-farm employment was generated to compensate for the loss of jobs in farming. With the private sector failing to absorb the people from farm sectors, these communities started pinning their hopes on government jobs. Unfortunately, jobs even in the public sector have reduced over time: from 19.5 million in 1992 to 17.6 million in 2011. Desperate, these communities are now demanding reservations to increase their chances of employability. Another reason these communities are pushing for reservations is that they have seen how it has helped disadvantaged communities in the past. In 1990, the Centre implemented the Mandal Commission report that recommended 27 per cent reservation of jobs in public sector for OBCs. But communities with land did not benefit from the Mandal Commission recommendations. In fact, they were not even interested in the recommendations. Between 2004 and 2013, the share of OBCs in A, B and C grade jobs in the Central government rose to 17.31 per cent from 3.8 per cent. A similar upward trend was witnessed for the other two reserved categories. Between 2003 and 2013, the share of SCs in government jobs grew to 17.3 per cent from 14.18 per cent; for STs, it grew to 7.59 per cent from 5.01 per cent. Seeing the success, these landed communities today see hope in government job reservations. But fulfilling their demand is not an easy task as the criteria for identifying backward communities in India are not economic but social. The Mandal Commission adopted 11 criteria of identifying backward classes. These were grouped into three major heads—social, educational and economic. Separate weightage was given to indicators in each group. All social indicators were given a weightage of three points each, educational two points each and economic one point each. The total score was 22 points and any caste with a score of 11 was considered OBC. In this, the first criterion is whether other castes consider the community backward. And communities such as Jats and Patels have never been considered backward. Land acquisition and compensation: What really happened in Singur? Affermative actions are needed to transform the community. And it is unfortunate Reservation is the only option available. One of the things that IS responsible for the failure of our agriculture economy to transit to a more off-farm economy is the failure of successive governments on the educational front. There could not be a clearer indicator of this that the current demand for reservation form high caste agrarian communities across the country. The key word for most of our rural 'educated' is unemployability. And people are unemployable because of the political economy of education which unfortunately remains government controlled and driven by falsenotions like getting children to learn Sanskrit and mug up the Gita and only start learning English in Class VI from teachers who do not know English. Also, government teachers, the best paid in the country, are appointed not on merit but on connections and fake degrees and from constituencies from where the CM happens to be (even within reserved quotas). This has been going on for decades and the consequences are before us. So even if the Jats and others were given reservation within the OBC quota, will it offset the unemployment due to the collapse of our unviable agriculture? And if the agrarian crisis is the problem (with no apparent solution), then why not have reservation for ALL farmers in the country including those who have not repaid loans from banks and move around in SUVs? We are doing that for industrialists. No?